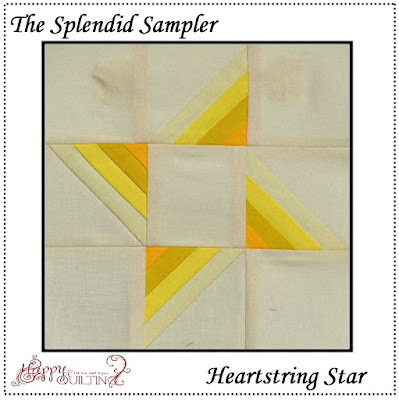 It's Saturday and each week I get a little more excited, because there are not a whole lot of Saturday's left in the Splendid Sampler!!! So lets see some more blocks. 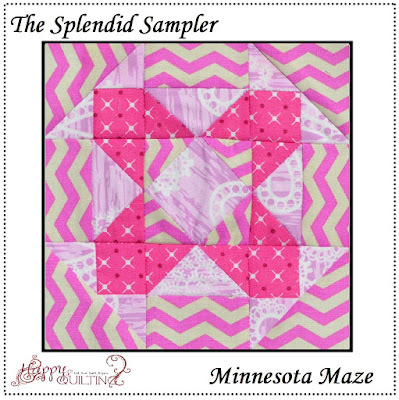 And those are this weeks Splendid Sampler blocks. And I have to share one more little tidbit!!! 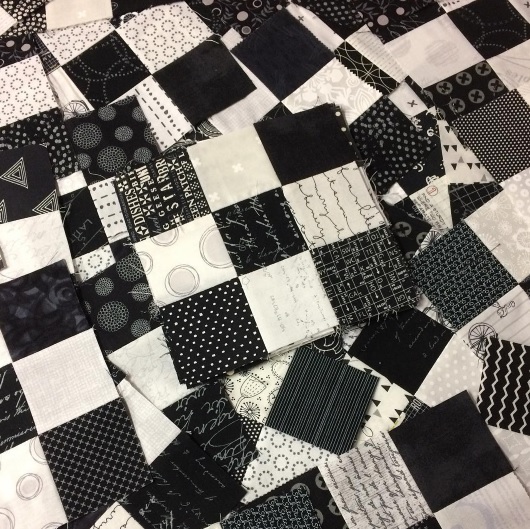 I finished the 9 patch black and white blocks that wills serves as an Irish Chain setting for my Splendid Sampler blocks. I have been using them as leaders and enders while working on the blocks and I was super excited to finish all 72. Now as soon as the blocks are done, they will be ready to sew right up into the quilt top. So fun!!! Only 16 more blocks to go!!!! Oh, Melissa, it's going to be absolutely gorgeous! Good job! 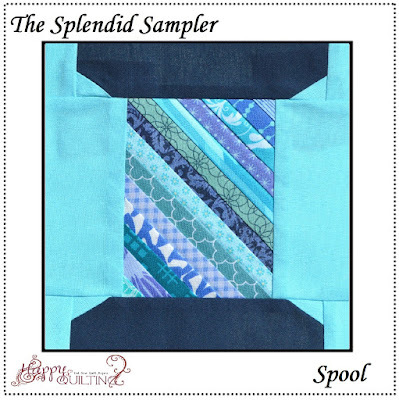 I'm going to use the spool block to make a quilt for my guild show the theme of which will be 'Keep Me in Stitches'. Thanks for another example! Looking forward to seeing your finished quilt with this Irish Chain Setting. It's going to look absolutely stunning! 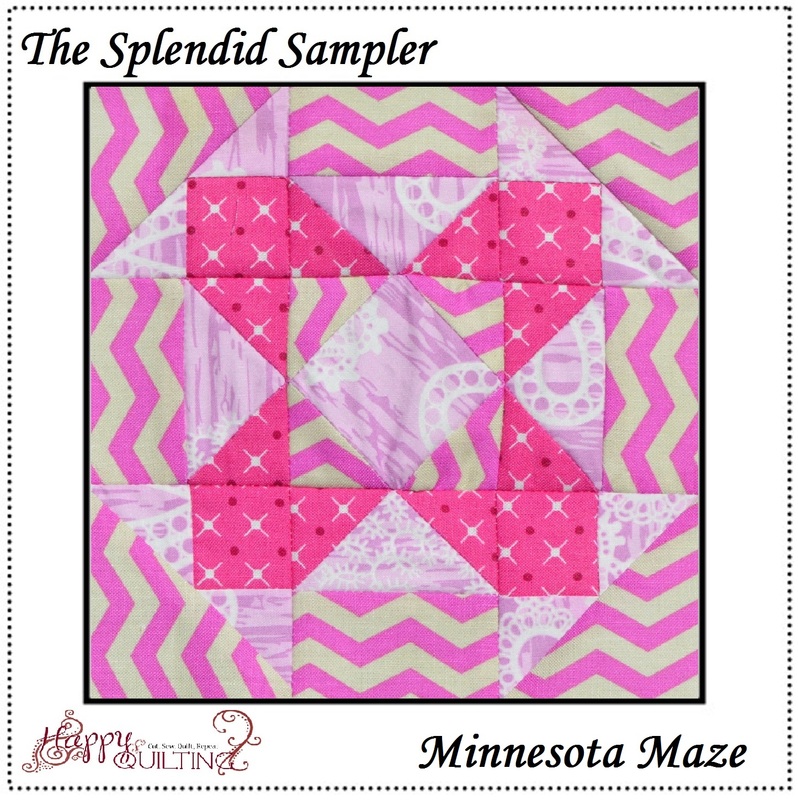 Your blocks look great and I love those happy checkerboards waiting in the wings! That yellow one makes me so happy! I can't wait to see the whole thing come together. Great setting blocks. I love that kind of chained setting. 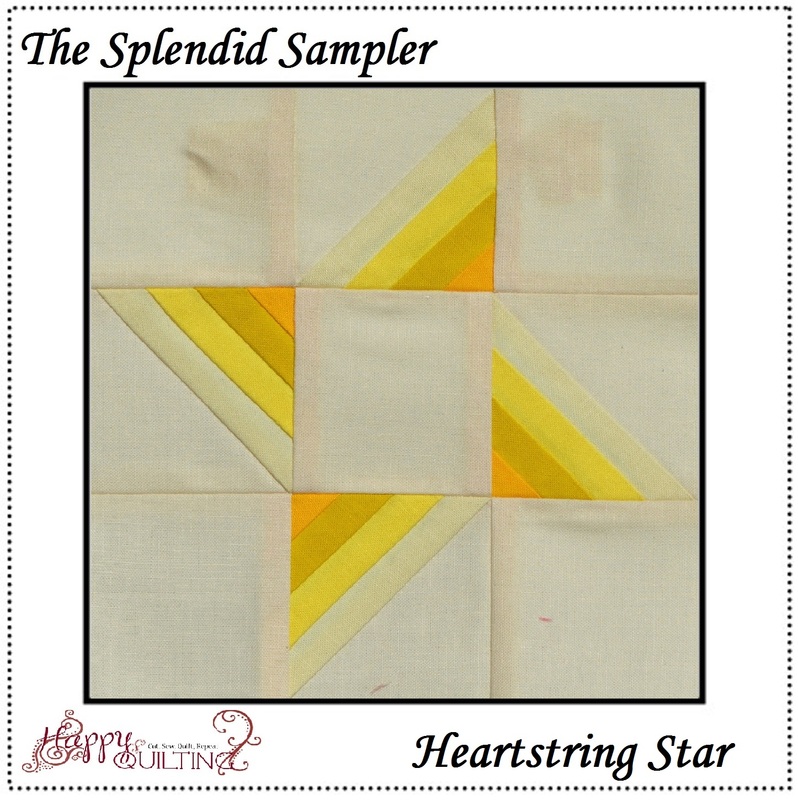 Your heartstring star is so pretty in yellows. It looks so crisp and clean. Thanks for sharing what you're doing.